In the heart of the Antarctic, nine adventurers are about to live an extraordinary story. They come from very different backgrounds, but one thing brings them together: a passion for adventure and testing the limits. Their goal: to follow in the footsteps of one of the greatest legends of the golden age of polar exploration: Ernest Shackleton. 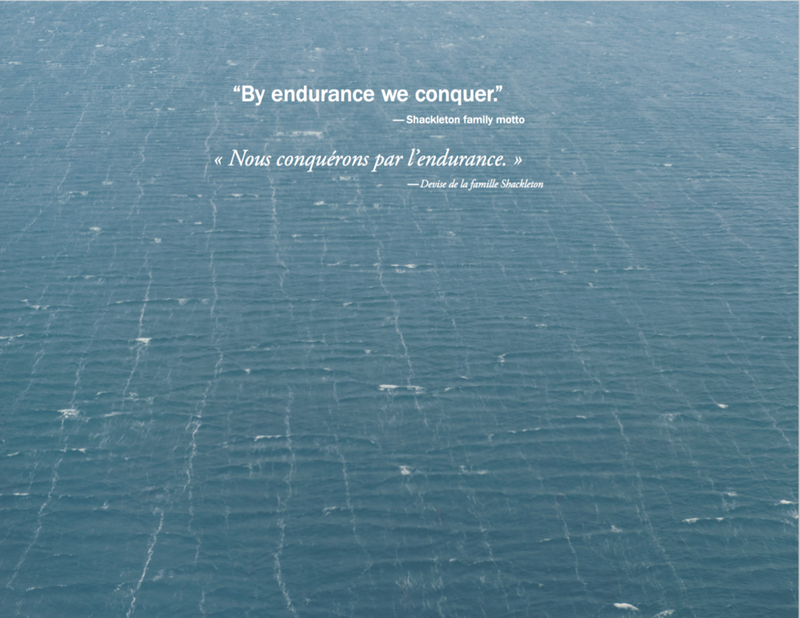 In 1914, after the sinking of his ship The Endurance, this hero saved his entire crew from a certain death. 100 years later our expedition sets out to explore the sub-Antarctic islands of Elephant, South Georgia and the South Sandwich by boat, ski and pulka. On board the Australis: an expedition leader, a veteran explorer, a former officer, a skipper, a polar guide, a scientist, two young soldiers and an athlete snowboarder. An expedition to remind us of the fragility of this highly endangered ecosystem, and to improve our understanding of these remote expanses. With them, you will relive the best but also the most challenging moments of this great adventure. In the summer of 2008, Luc Hardy led a 16-person expedition to the Canadian Arctic. As the founder of the Pax Arctica Initiative, Luc assembled a diverse group of adults and "Young Ambassadors", ages 9 to 17, to eyewitness and report on the changes occurring in the Arctic. Arctic-Transitions brings to life beautiful and inaccessible regions through the use of stunning photography. Interaction with scientists of various fields creates a compelling list of reasons for preserving the Arctic. Arctic-Transitions eloquently describes the local events and the resulting effects on the existing populations. One cannot see images of this rapidly evolving world and remain unmoved. 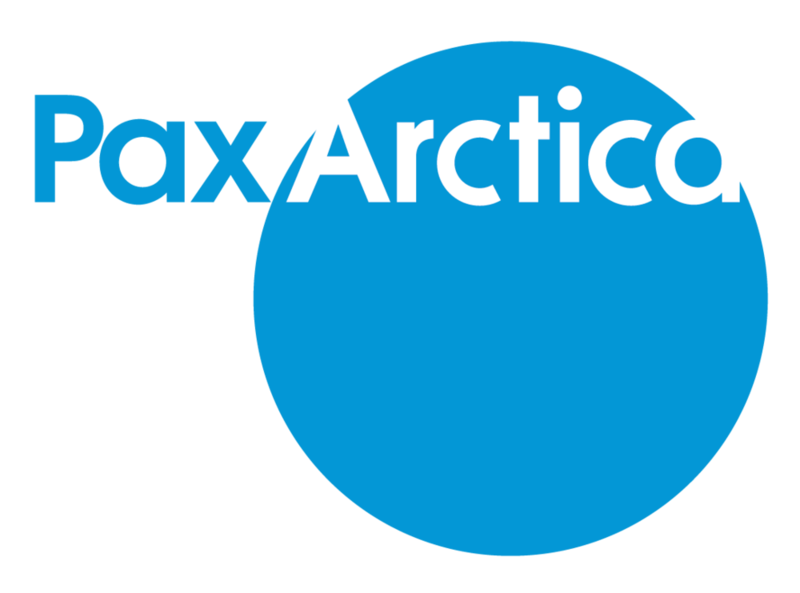 The Pax Arctica initiative was created to promote awareness of the threats facing the Arctic regions, to convey a global message of peace and to support the introduction of new ecological regulations for the Arctic region. In the summer of 2007, Luc Hardy led a 9-person expedition to Greenland that included scientists and children. Through the use of spectacular photography, Greenland Impressions chronicles the 5-week voyage from the largest village on the eastern sea coast to the highest peak in Greenland, then onto the northernmost point of the Arctic, in an effort to examine the conflicting changes which are occurring there. 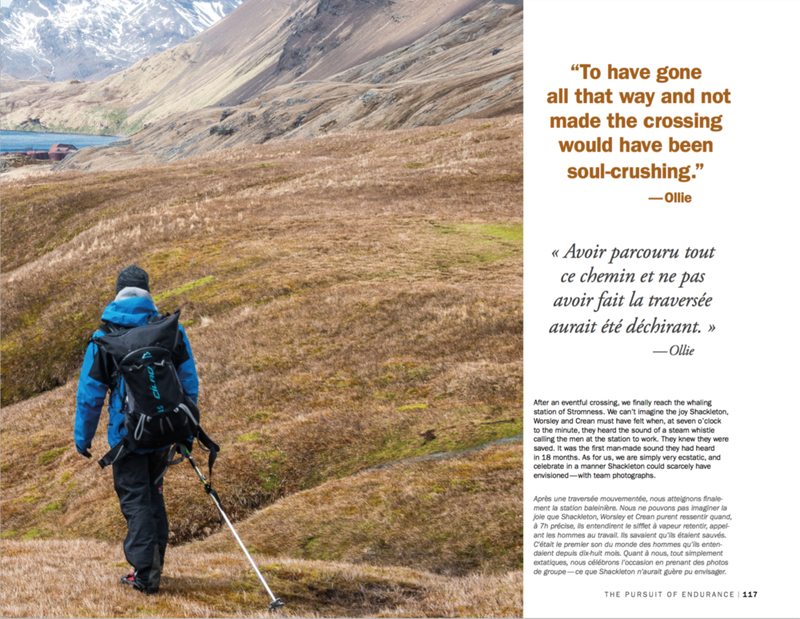 Hardy's eyewitness account of the impact of global warming on Greenland, and its plant and animal life struggling to cope with rapid change, is juxtaposed with the grandeur and beauty of the scenery. These are but a few of the impressions that describe Greenland - one of the last, and maybe the ultimate, frontier. Freeezing cold temperatures, immense landscpaes, risky challenges and extreme isolation are only a few of the descritpions that apply to Antarctica, the ultimate frontier. 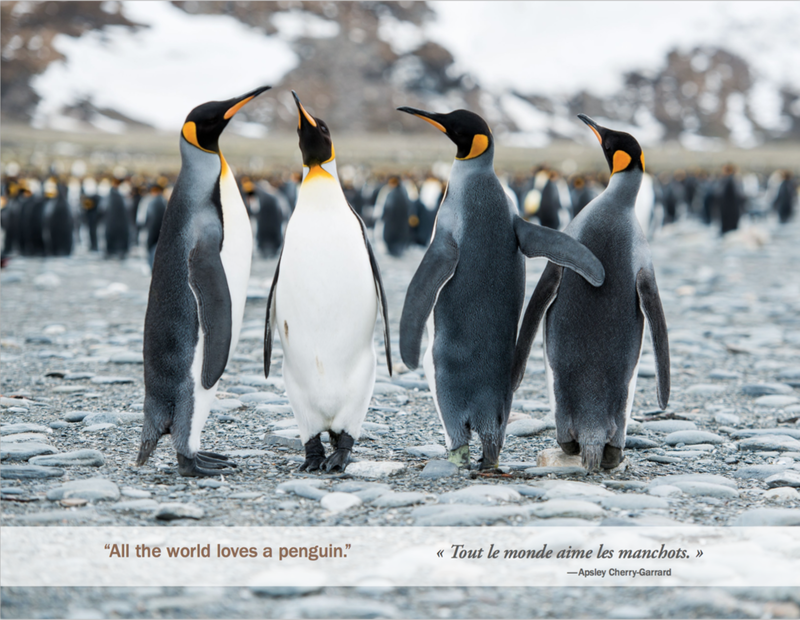 With stunning images, Antarctic Adventure chronicles the footsteps of Luc Hardy and Larry Hunt as they embark on a one-month journey from the comforts of their homes in Connecticut to the summit of Vinson Massif, the highest mountain in Antarctica. And just as they explore, dream and discover, you too will see this fascinating continent as never before. 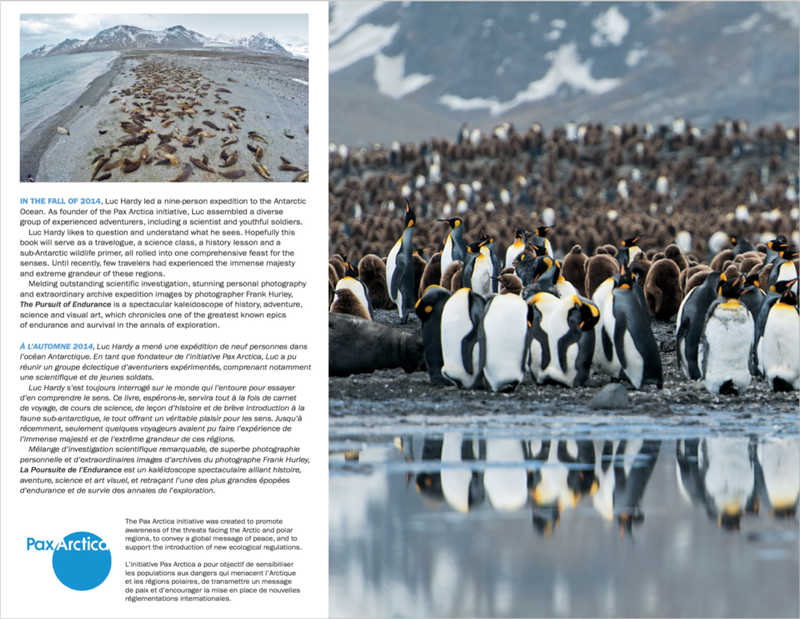 The Sagax Antarctica Expedition 2003 and this book were made possible thanks to the generous support of Alteram, Multifonds and Reed Smith LLP, and the collaboration of the Cousteau Society.